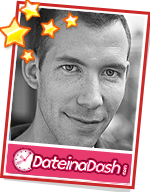 Rob founded Date in a Dash in 2011 after attending a poorly ran Speed Dating Event in Clapham. He quickly realised there was a demand for high quality, well organised Speed Dating Events in London. Self proclaimed Dating Guru & TV wannabe (BBC Threeï¿½s The Year of Making Love) Rob handles the day to day running of the business, dealing with everything from telephone bookings to blowing up balloons! 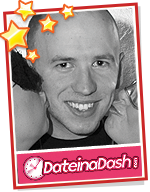 In 2012 he resigned from his job as a Police Officer to focus on Date in a Dash full time. Outside of the office his hobbies include running Marathons and (still) learning to ride his unicycle. Larger than life Tom is an enthusiastic member of the team. He turned down a move to Real Madrid to join Date in a Dash. Tom works as an actor and safari consultant; so when youï¿½ve found the love of your life he can design your honeymoon too! Tom grew up in Paris and has lived in lots of different countries. In his spare time he enjoys yoga, comedy, the theatre and books. The person Tom would most like to meet is Anthony Hopkins, just pipping David Hasselhoff. Chloe is a fantastic Actor and Presenter, brought up by a couple of Hobbits in Hampshire. 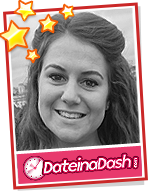 When moving to the big city to pursue her dreams, Chloe found she was able to create wonderful harmonies between friends, using cupid's arrow, hence joining Date in a Dash. She loves to experience culture, and you'll often find her at various entertainment venues, as well as public houses. Chloe is a firm believer that there ARE plenty more fish in the sea.